and welding gasses since 1937. Welcome to Welder Service, where for nearly 70 years, we’ve been supplying the Toledo area with all its welding needs, including welding gassses, welding supplies, welding equipment, including welding safety equipment, and welding accessories. 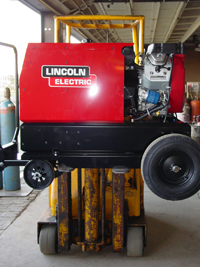 Welder Service is locally owned and operated, so our customers are also our neighbors, and that’s how we treat them. If you’re running a large shop, needing regular deliveries of welding gasses, welding supplies and welding equipment, Welder Service is here for you. A knowledgeable and friendly salesperson will be glad to manage your account, regularly and proactively contacting you and working with you to determine your welding supply needs. Then, once we have your order in hand, you can expect next-day delivery on many welding gasses, welding supplies, welding equipment, including welding safety equipment, and welding accessories. On the other hand, if you’re doing ornamental welding or welding as a hobby, and need only occasional welding gasses and welding supplies, Welder Service is here for you too. Call us, or just stop in! One of our friendly welding experts will help you find the welding gasses, welding supplies, welding equipment, including welding safety equipment, and welding accessories that you need. While you’re in, check out our Demo Zone, where you can try before you buy, and be sure to ask about next-day delivery. It’s not just for the big guys! 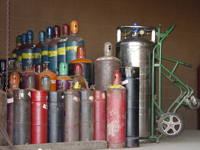 Whether big or small, Welder Service is your source for welding gasses, welding supplies, welding equipment, including welding safety equipment, and welding accessories. Call us today at (419) 535-WELD, and find out what Welder Service can do for you!